Tom Brinker, left, and Arthur Hackman, right, of Airport Ford in Florence, Ky., with Greg Wood, Ford Motor Co.'s Cincinnati regional manager. 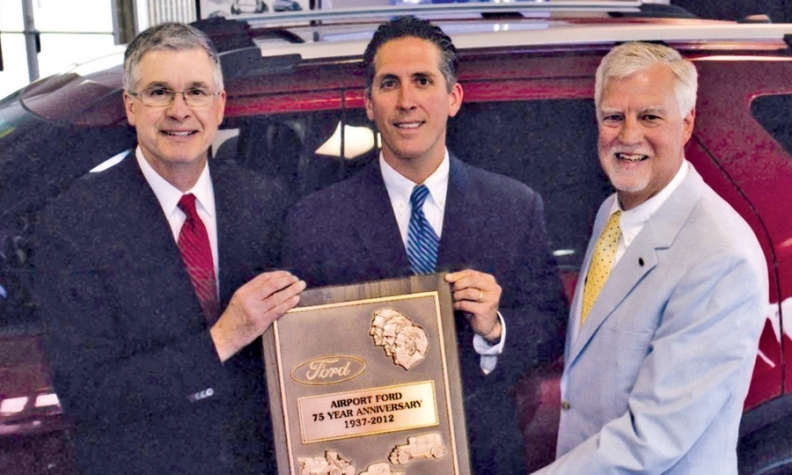 Tom Brinker, left, and Arthur Hackman, right, of Airport Ford in Florence, Ky., receive a 75-year award for Ford from Greg Wood, Ford Motor Co.'s Cincinnati regional manager. 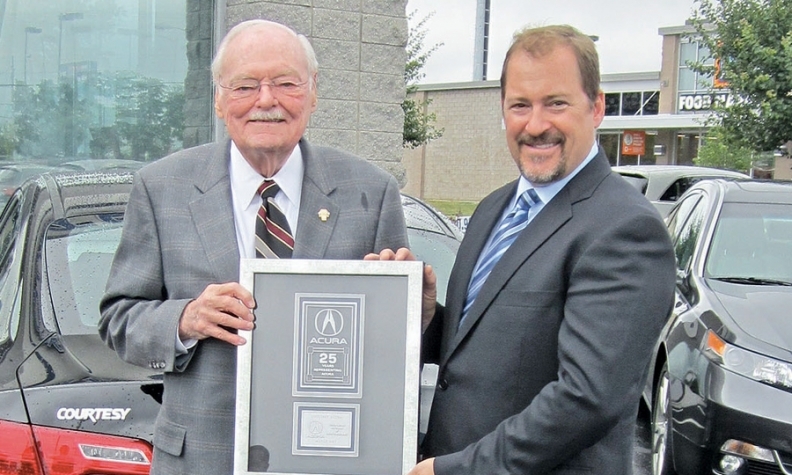 Sam Swope, left, and Jeff Wood of Courtesy Acura in Lexington, Ky., received a 25-year award for Acura from American Honda Motor Co.